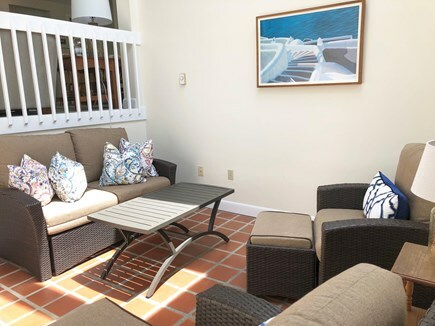 Solarium: Sun drenched and great for reading! 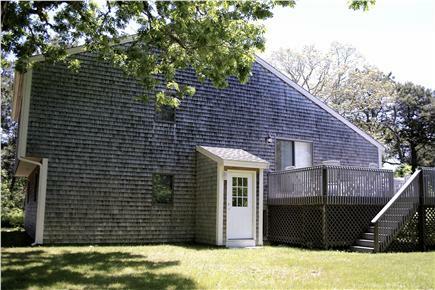 Thank you for your interest in our Martha’s Vineyard/Katama family home. 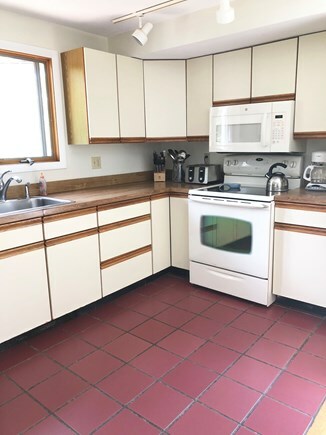 The house is conveniently located within a long walk or nice bike ride to South Beach (1.2 miles), Edgartown Center (1.9 miles) and 1/4 mile from the diner at Katama Airport. This house was built when Angelo Karoutas, an electrician and Patriarch of our family, decided to create a place where his family could all vacation together. Angelo has since passed, but his legacy to his wife Nikki, his children, grandchildren, and now a great grand-child, enables us to all gather together under one roof for a vacation. The house was built by our family using an award-winning, multi-level design adapted to provide maximum flexibility by providing occupants multiple public areas for congregating. People with similar interests can group together, or one can enjoy private time when you just want solitude, rest, or to sunbathe. We also chose the setting, at the end of a short cul-de-sac with only 5 homes, to provide safe play for younger family members. •	Main Living Room: 3 Large Couches (seats 8-10), large flat screen TV, surround sound system, Blu-Ray player (netflix enabled & fireplace. 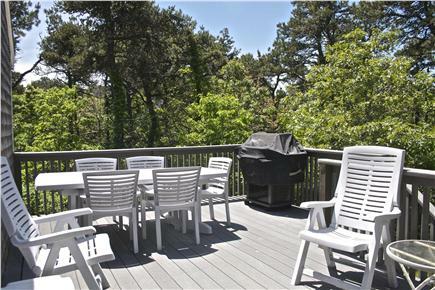 Between the dining deck and the open kitchen/dining area - Excellent for entertaining. 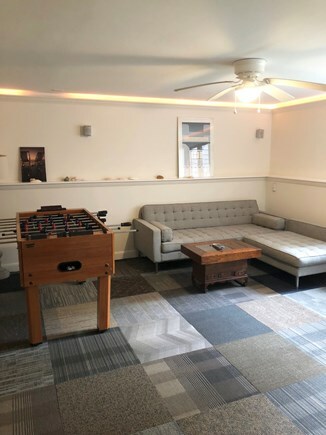 •	Finished Basement: TV/Play room includes a sectional (seats for 6+), flatscreen TV, foosball table, and full door access to back yard. Perfect for kids! 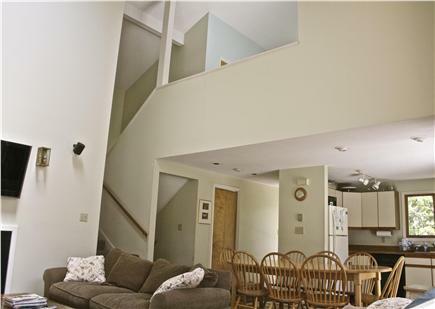 •	Loft: Overlooking the main living room, includes a card table (seats 4) couch & flatscreen TV. Great space for playing cards/games or puzzles. •	Grassed back yard for Badminton, Croquet, Corn Hole, and Horse Shoes. •	Two tennis courts as part of the condo association (shared with 20 other single family houses). 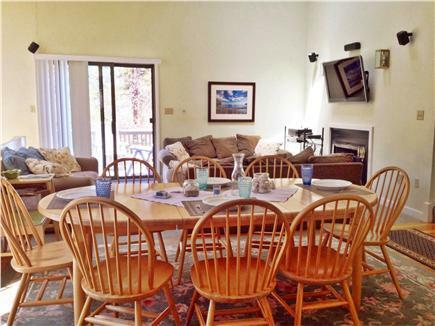 Spacious, comfortable home for a perfect vacation! This home is large and spacious with perfect gathering areas in the living room and kitchen and a great, large back deck. 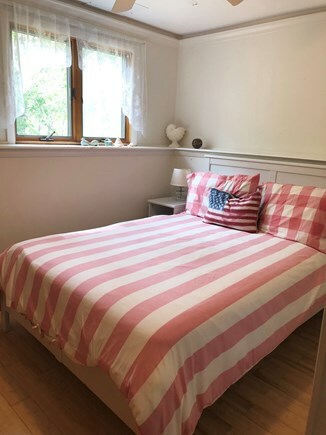 We had friends join us for part of the week, and the bedrooms are private and allow you to get away from the main part of the home. There is access to beautiful bike paths, and its proximity to the beach is great. We will definitely rent again - we have rented other houses in the area and you truly get the most for your money here. 1. 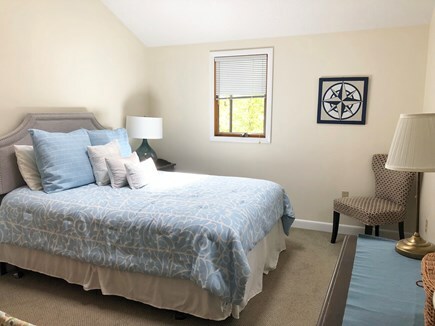 Our goal is for our renters to be happy and enjoy their well-deserved time off. 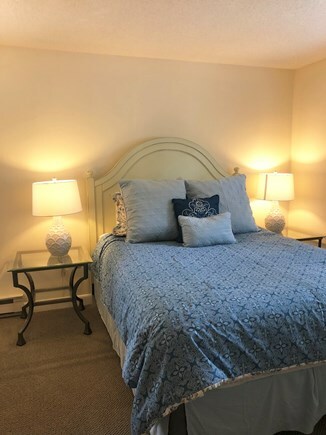 If there were any issues that we could have resolved for you during your stay, we would have been more than happy to do so (we are only a phone call away!!). We cannot be responsive and address issues that we are unaware of. In the future, we will contact each new renter the day they arrive to insure the house meets their expectations. 2. We take a tremendous amount of pride in our family home. 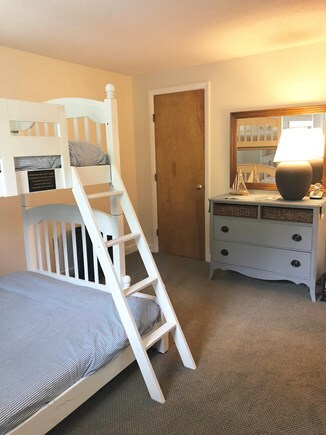 Each year, the proceeds from our rentals go directly into making early updates and upgrades in the spring to ensure that not only our family can enjoy it, but our rental families as well. 3. We truly feel as though the pictures and description of our home are represented 100% truthfully. 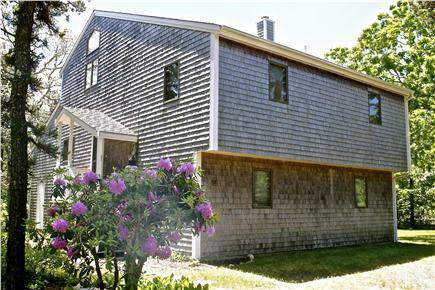 The review title stated “not as expected” and that the rental “should be as nice if not nicer than where you live." If renters want, or are expecting a new construction or luxury-level rental, our home may not be the best fit for them (it is neither advertised nor priced that way). 4. We are very confused by the “3-star Experience with homeowner” review because we were never informed of the issues until the review was submitted over 5 months after their stay. We have since reached out to the renter by phone and E-mail. While we received an E-mail back of acknowledgement, the renter did not have a desire to discuss her issues. 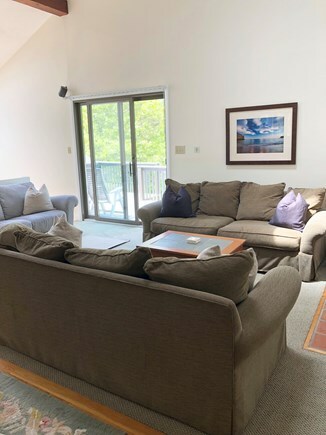 When we built this house, our mission was to provide our family and renters a comfortable yet affordable home on the island where a large group of friends or family can enjoy spacious accommodations in a prime location and at a very reasonable price. We feel that we have been true to our mission. We stayed at this home for 3 nights in October for a wedding. It was perfectly located and perfect for our family of 6. 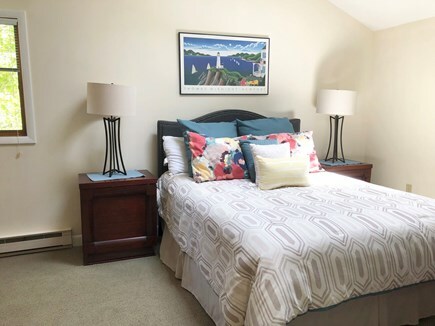 My college son was thrilled to have his own private space in the finished basement/bedroom area, and we loved the light filled living area for congregating. The only improvement could've been the weather! :) Well worth the price! Absolutely love this house! I rented the home with some girlfriends back in June of 2013 and decided to come back in August of 2015 for another girls week because we all loved it so much. The biggest upside is definitely how many people the home can comfortably fit. None of us felt like we were living on top of each other, and the 2 bathrooms were definitely a plus. The owners are very easy to work with and more than accommodating and responsive. They are definitely island experts so if it's your first time to the island, don't hesitate to ask them for a list of "must sees." We also contacted the owner about some light bulbs that were out in the kitchen during our stay, and within an hour or so they had a maintenance worker replace them.